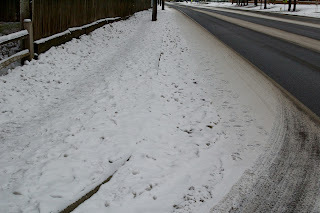 During my morning run I think I spent over half the distance running in the street because the uneven frozen surfaces of the uncleared sidewalks make walking, let alone running, rather difficult. I noticed a couple of contributing factors. Poor design. 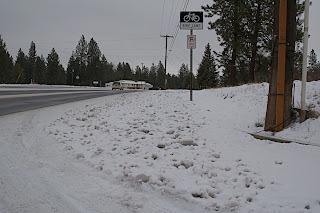 The sidewalk is next to the roadway and is covered by snowplows. Not my problem. 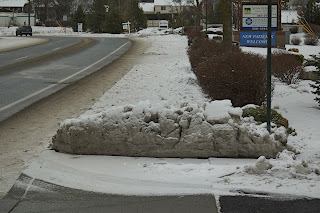 The business's sidewalk is pristine and the public one is now blocked. 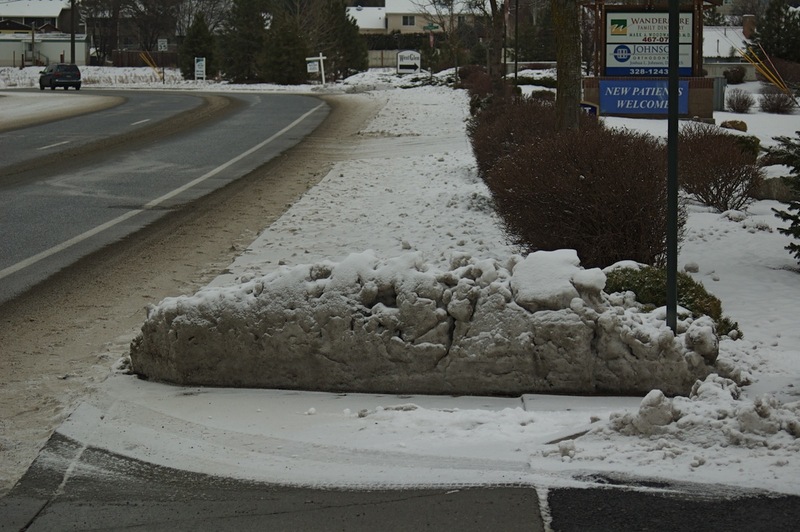 Some residents clear the snow. Some don't. Don't let the snow keep you from walking or running. But make yourself visible and keep a sharp eye out for traffic.